You, Captain Miller of the 2nd Rangers, are ordered to find Private Ryan, a member of the 101st Airborne Division, 3 of his brothers have been killed in action and Pvt. Ryan has got a ticket home. 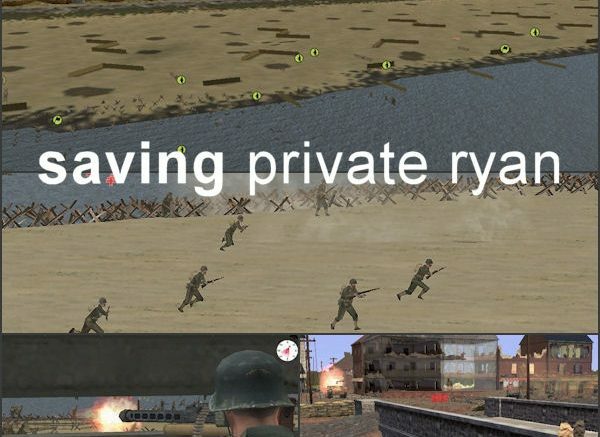 – Play like in the epic war movie Saving Private Ryan or put your own touch on these missions. – Omaha Beach: Storm the beach designated “Omaha” at Dog Green sector, nicknamed “Bloody Omaha” by it’s survivors. – Radar Station: Assault the radar station that is still holding a heavy machinegun crew ambushing unsuspecting allied soldiers. – Ramelle: Hold the town of Ramelle, can you keep the Germans from taking the bridge over the Merderet River and keep Pvt. Ryan save? – And my very own Normandy Battle Ambience. 1 Comment on "Saving Private Ryan"
How do I download this on MacBook Pro?